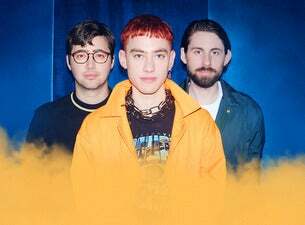 Synth-popsters Years & Years formed in 2010 but it wasn't until 2015 – when the band won BBC's Sound of 2015 poll – that the band saw real chart success. While their fourth single, Take Shelter, had reached No.1 on the iTunes UK Singles Electronic Chart and fifth single Desire had peaked at No.22 on the UK Singles Chart, it was the release of sixth single King that catapulted them to chart stardom. Released the same month as the band topping the BBC poll, King reached No.1 on the UK Singles Chart and peaked within the top 10 of the charts in Australia, Austria, Bulgaria, Denmark, Germany, Luxembourg, the Netherlands, Ireland and Switzerland. Debut album Communion followed, including follow-up singles Shine and Eyes Shut. Sophomore studio album Palso Santo was announced in April 2018 and featured singles Sanctify and If You're Over Me - the latter reaching the top 10 in the UK. The album features a dystopian world consisting of robot-like beings named Androids and humans as the minority, and was released on 6 July 2018. The band consists of Olly Alexander, Mikey Goldsworthy and Emre Türkmen and their music has been described as electropop, mixing R&B and 1990s house elements. The band's debut studio album was the fastest-selling debut album of the year from a UK signed band. For 2019, shows include festival slots at TRNSMT, Soundscape, Kendal Calling, Manchester Pride Live and hufe outdoor shows at Newmarket Racecourses and Scarborough Open Air Theatre.